If you’re following USPS news and the price of a stamp closely, you’d know that the first class rate for postage stamps is rising this year. But even the Postal Service is making it hard to answer the two most fundamental questions: By how much is the price of a stamp increasing? And when is this all happening? The simplest answer is: 49 cents and January 26th, 2014. That’s not all — so read on. The new price for a first class stamp will be 49 cents. That’s a never-before-seen 6% increase to the old price which was only 46 cents. It might not seem like that much of a hike but for a rate that businesses depend on, it’s huge. If the USPS were following the convention typically enforced by the Postal Regulatory Commission, the price would only go up by 1 cent. The real change is 3 cents. So, relative to expectations, the new price is a 300% rate surprise! Forever stamps will increase in value when the price of a stamp changes this year. Don’t forget that the USPS has already helped us deal with its constant price changes by selling Forever stamps. If you own Forever stamps (or buy them before the price changes! ), their value will automatically rise with the price increase. However, if you go to the post office even just the day after the price increase to buy Forever stamps, you’ll pay the new price of a stamp: 49 cents. 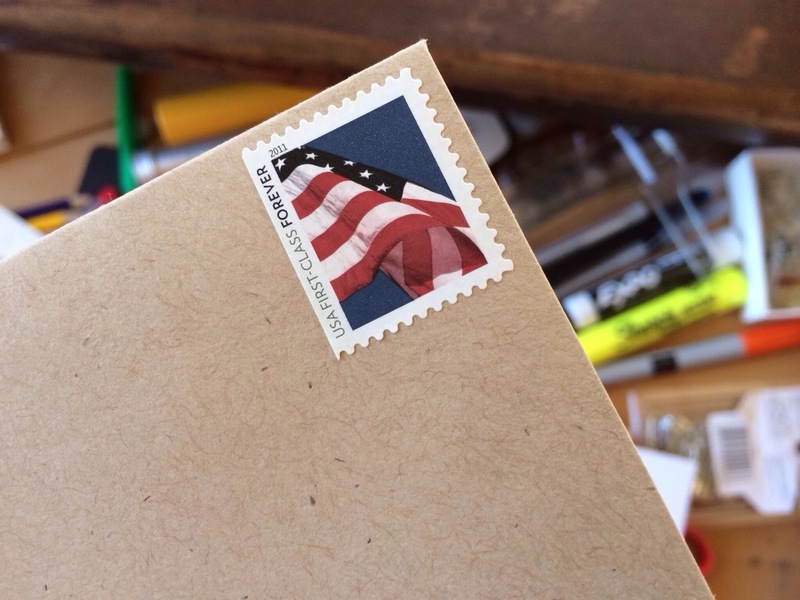 The price of a stamp increases to 49 cents on Jan. 26th, 2014 according to the USPS, but what does that really mean? Jan. 26 is a Sunday — very few corner mailboxes are serviced on Sundays and nearly every single post office is closed. The postal service doesn’t even deliver mail on Sundays. The USPS’s wording suggests that the new 49-cent price takes effect on January 26th, so we can assume that the actual change takes place at midnight or close-of-business on Saturday, Jan. 25th. In other words, if you drop something in the mail on or after Jan. 26th, you should plan to apply postage valued at the new price: 49 cents. Or, if you buy stamps at a kiosk or at a post office that’s open on Sunday, you’ll get charged the new price of a stamp. However, we know from past price increases that the USPS permits a very unofficial “grace period” where it will continue to deliver mail stamped for the old postage price. If you’re lucky, this will last all day Sunday, Jan. 26th. On Monday, Jan. 27th, be sure that all of your mail has 49 cents of postage attached or it might be returned or discarded.